This large rectangular purse has a detachable thin dark gray 43" long leather strap. Knot it on the loops and make it any length you want. It has an envelope styling with double flaps to divide the sections. 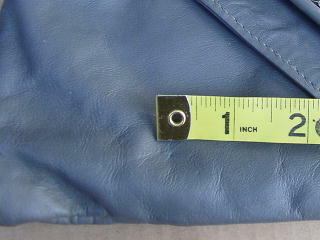 The magnetic closure is under the top flap. 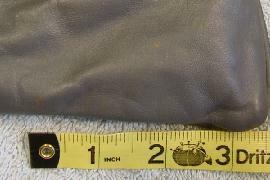 The first section is large and lined in a pearlized gray, thick, shiny ribbed fabric. 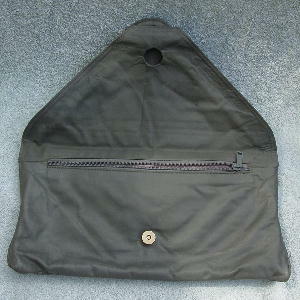 It has a very roomy zipper compartment. 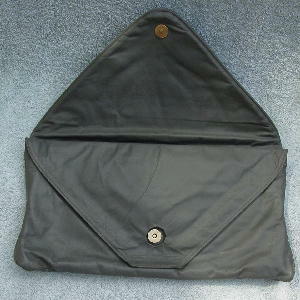 The center leather divider has a hole so the two halves of the magnetic closure can meet. 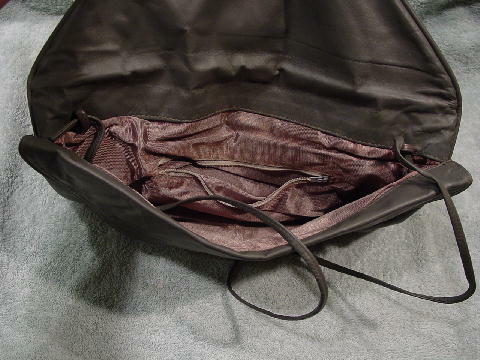 The second section has a large lined (same fabric) zipper compartment. The majority of the purse is covered in dark gray soft leather (which smells good). 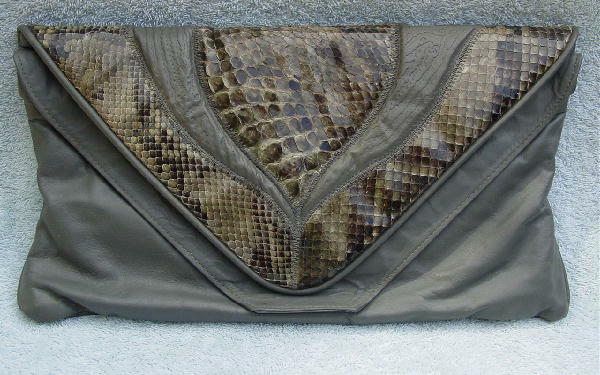 The front flap is in snakeskin with two long textured accent pieces. 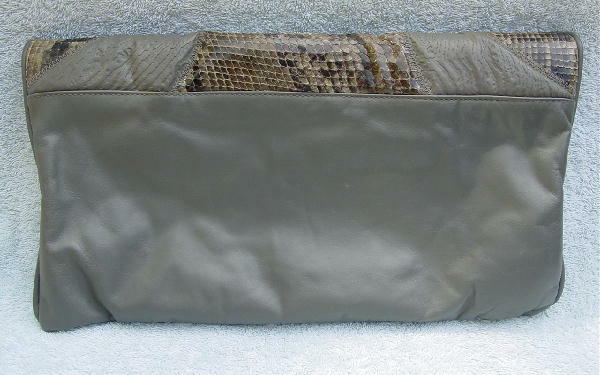 The snakeskin is in dark gray, medium gray, taupe, and light gray with a touch of dark brown. The front bottom left side has 2 green ink dots. There are also 4 very light rust color spots on the front lower right side.